Organic Pea Protein powder starts off with organically grown white and yellow peas, known as field or dry peas, which are grown in China. After harvesting, each batch of peas are cleaned and liquefied, and the pure protein liquid is decanted and then clarified before being dried, sifted and inspected. 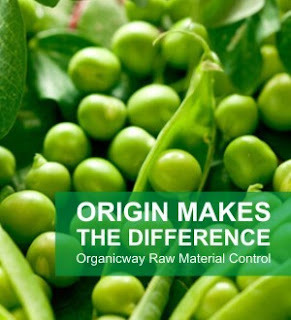 Providing a high protein content of 80%, the amino acid profile of Organic Pea Protein per 100g is excellent.